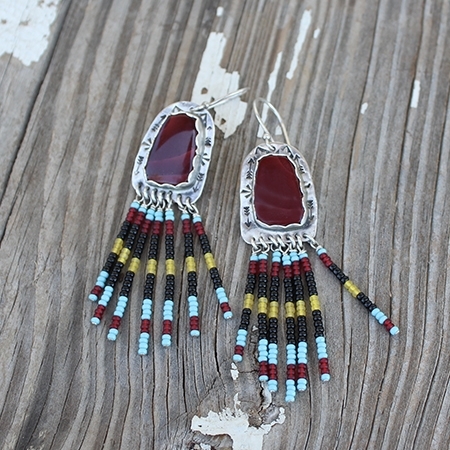 These fun & unique dangling earrings feature a Rosarita stone set on a solid sterling silver backer with southwestern stamping around the perimeter of the stone. They are set off with multicolored beads dangling from the bottom. These are a showstopper! From the top of the ear wire to the bottom of the longest dangle, these earrings measure 3.25".